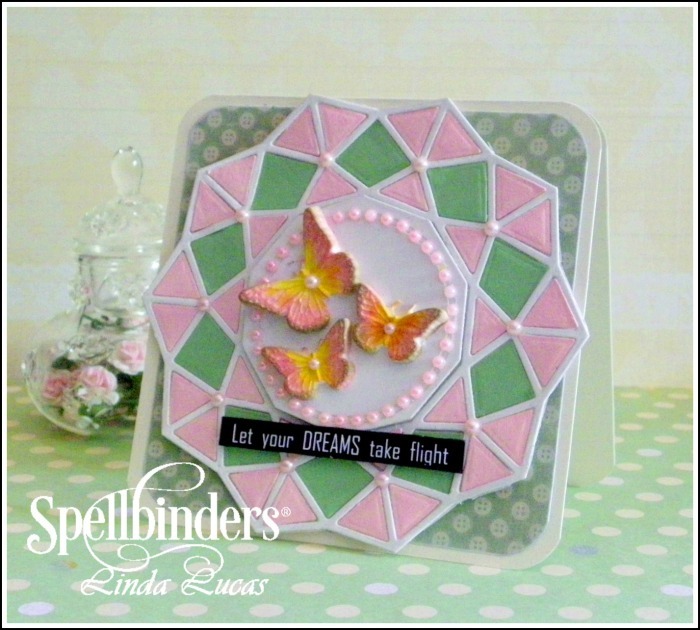 Hello everyone it is Linda here to share an amazing new Die with you! 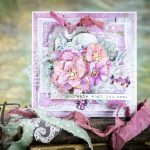 New Dies are always exciting and this is definitely the case with the Kaleidoscope Collection by one of the new Licensed Designers Lene Lok – they are so much fun and certainly live up to their name. 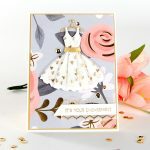 Other: Scrapbook Adhesives by 3L: 3D Foam Squares, E-Z Permanent Adhesive Runner; White, pink and light green cardstock; liquid glue; Want2Scrap: Nestabling – pink pearls; handmade resin embellishments; computer generated sentiment. 1. 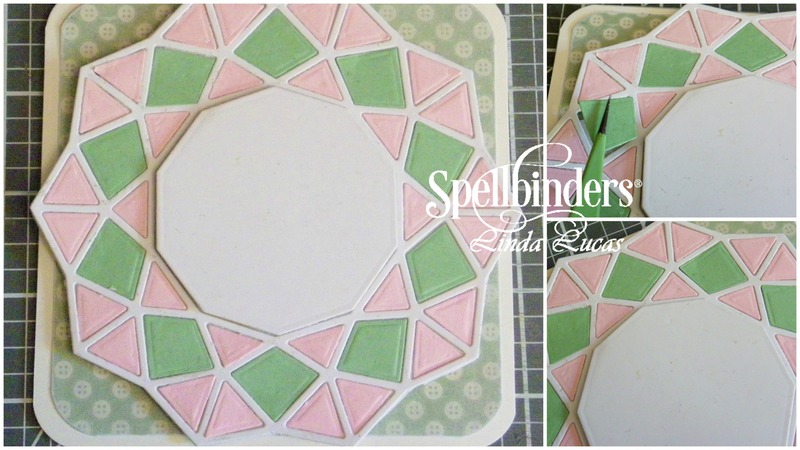 Cut/emboss one Geo Flower Kaleidoscope using white cardstock, along with pink and green cardstock. 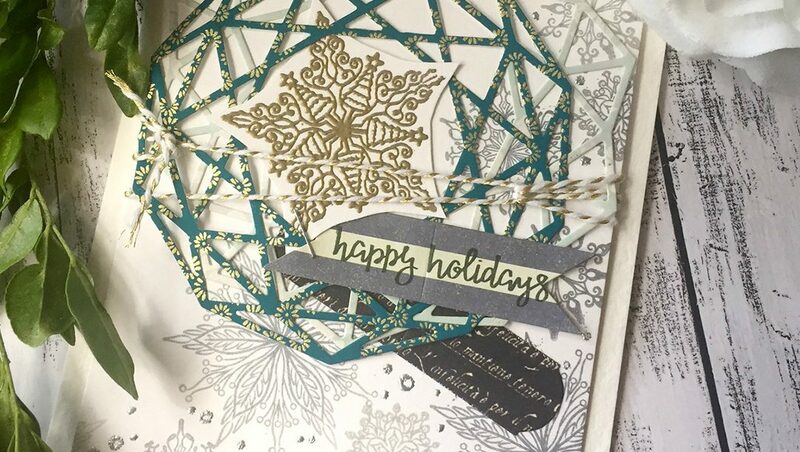 NOTE: 3 Die cuts in all. 2. Remove the extra Die pieces using the Tool ‘n One and out to one side. 3. Adhere the Geo Flower to recycled cardboard using liquid glue. 4. Cut around the outside edges of the Geo Flower and cardboard. 5. 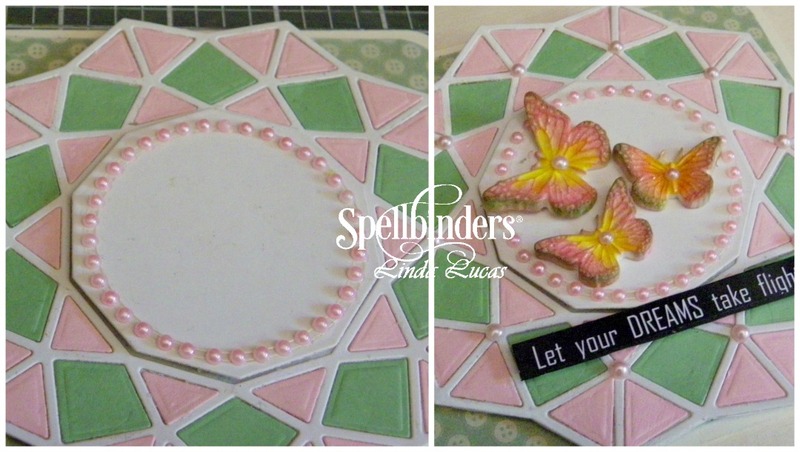 Piece together the pink and green pieces to form the ‘Kaleidoscope’ pattern of your choice – using liquid glue. 6. 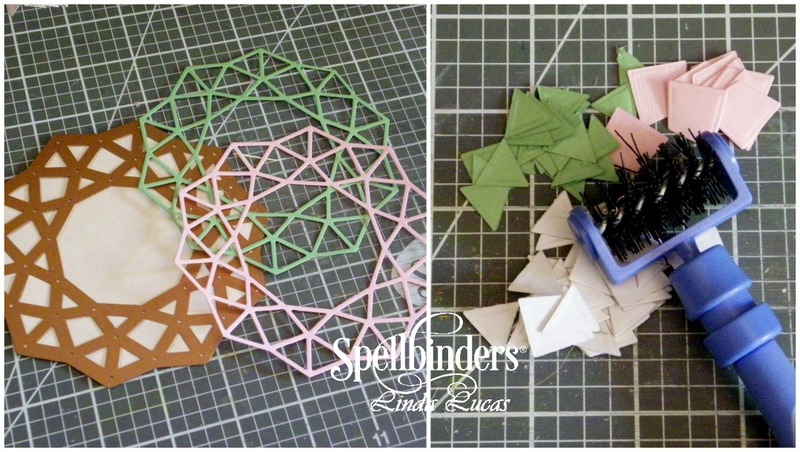 Pop up the middle die cut piece to the centre using 3D Foam Squares. 7. 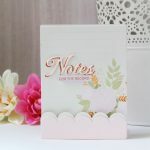 Adhere to a pre-cut card base and patterned paper using 3D Foam Squares. 8. Adhere pink Nestabling on to the centre Die cut. 9. 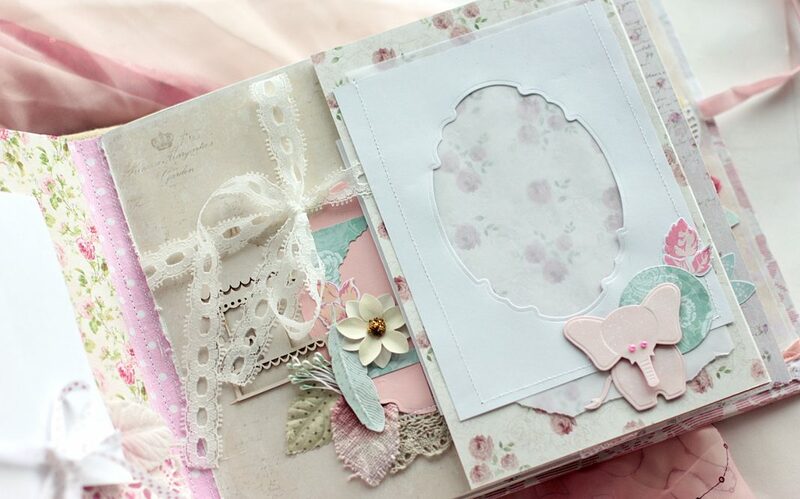 Attach handmade embellishments using liquid glue. 10. Pop up computer generated sentiment using 3D Foam Squares. The Kaleidoscope Geo Flower is a fabulous interpretation of a floral design in a geometric motif. Something unique to include in your next project! As you can imagine the possibilities are endless along with the colour choices. 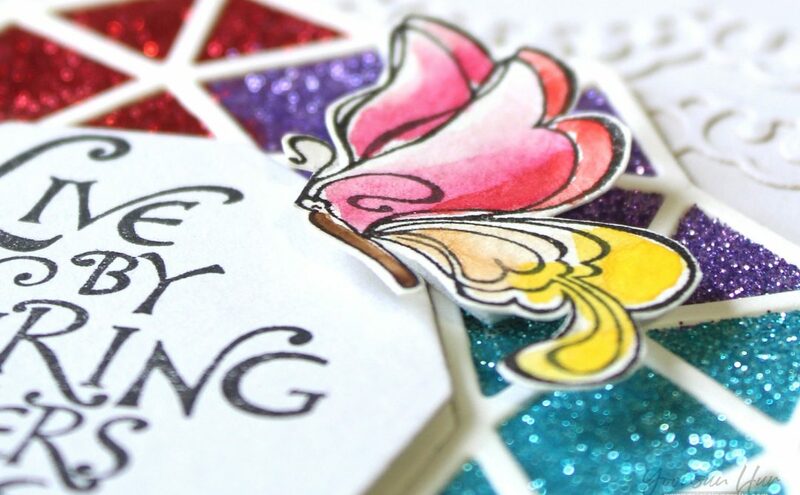 I hope you are inspired to try these amazing Dies – you will love them. I love it! And I’m not a geometric type person!! Can hardly wait to try it! Oh my goodness! This is divine! 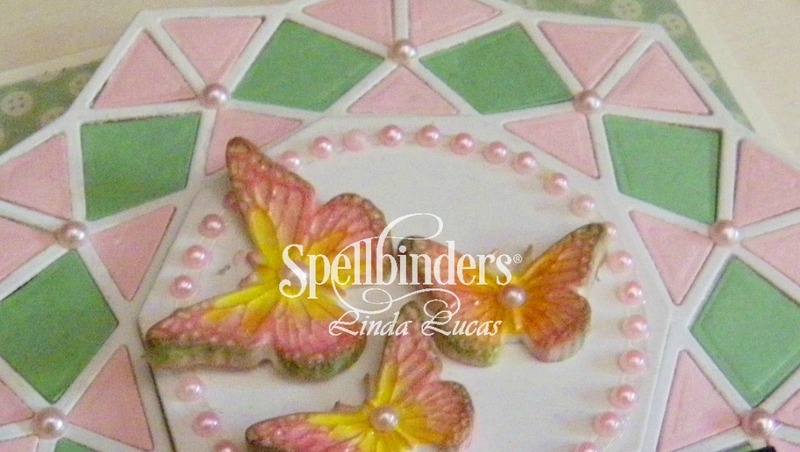 LOVE these spectacular butterflies! TFS!